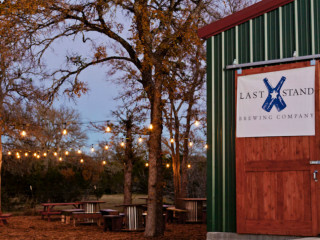 At Last Stand Brewing Company's Beer Garden Market, visitors can shop local vendors and enjoy craft beer and delicious food. Kids and pets are welcome. Vendors will include Arbonne, Best Buds CBD, Chalk Couture, Creative Mindz, Color Street, doTERRA, Howellarious Creative, LINA LINA Custom Wood Signs, Pampered Chef, Paparazzi, Park Lane Jewelry, Young Living, and more.